Tastebud Tours is the Chicago Food Tour everyone is talking about. We’ve been selected as the "Editors Choice" and "The Best Chicago Food Tour" by The Chicago Traveler in addition to be featured on NBC News, ABC's 190 North, USA Today, WGN and WTTW. As if that’s not enough, we are proud to say that we’ve been awarded the Certificate of Excellence from Tripadvisor for the last 6 years! Now that’s tasty! 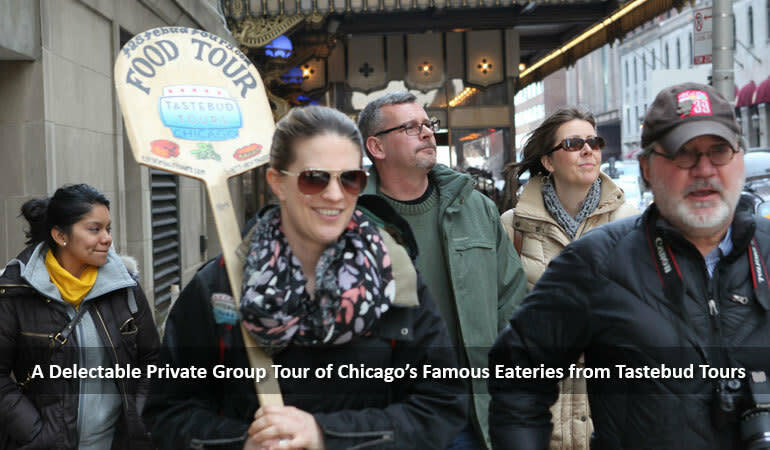 Tastebud Food Tours offers delicious food tours through Chicago's historic neighborhoods. 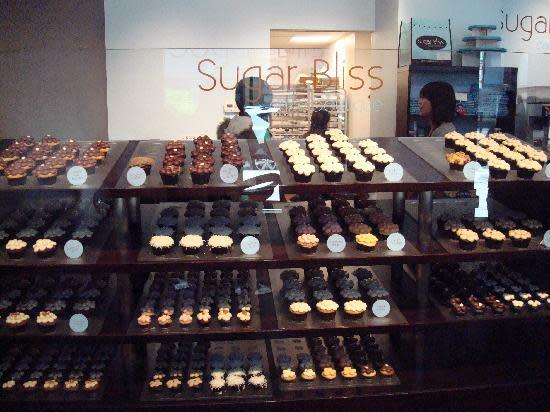 Each small group tour serves up Chicago’s quintessential cuisine while visiting different specialty food shops and highly rated Chicago restaurants. The Taste Tour includes stops located in the Chicago Loop including Millennium Park and the Cultural Center. The Flavors Tour runs through the beautiful Gold Coast neighborhood including the famous Magnificent Mile. Visit one of Chicago’s famous neighborhoods and eat your way through Old Town. 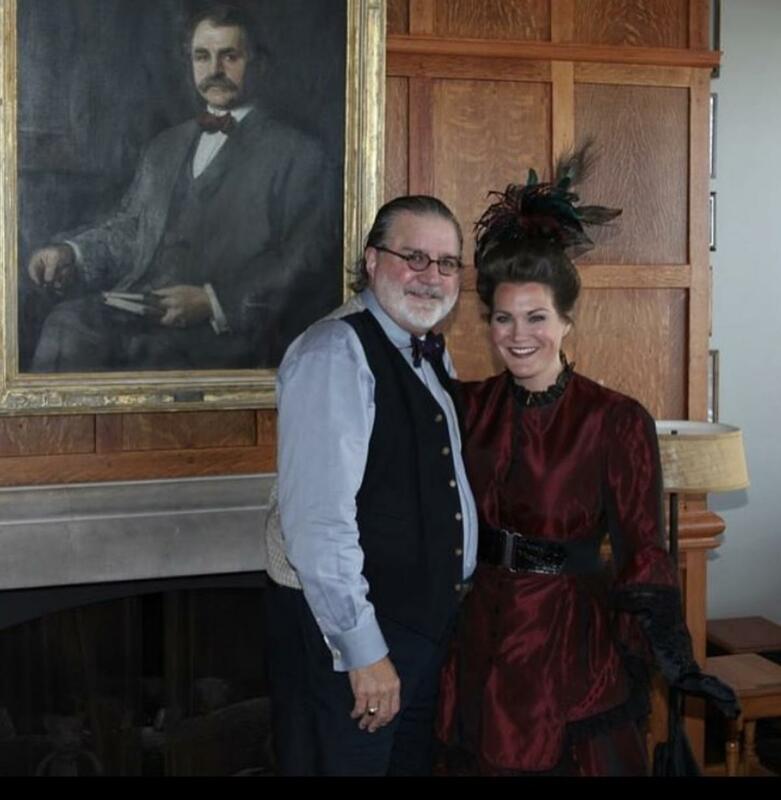 Step back in time and enjoy theater on the streets with The 1893 World's Fair Food Tour. Running tighter on time but would still like to get a taste of Chicago? We’d love to have you join us on our shorter Underground Tour. 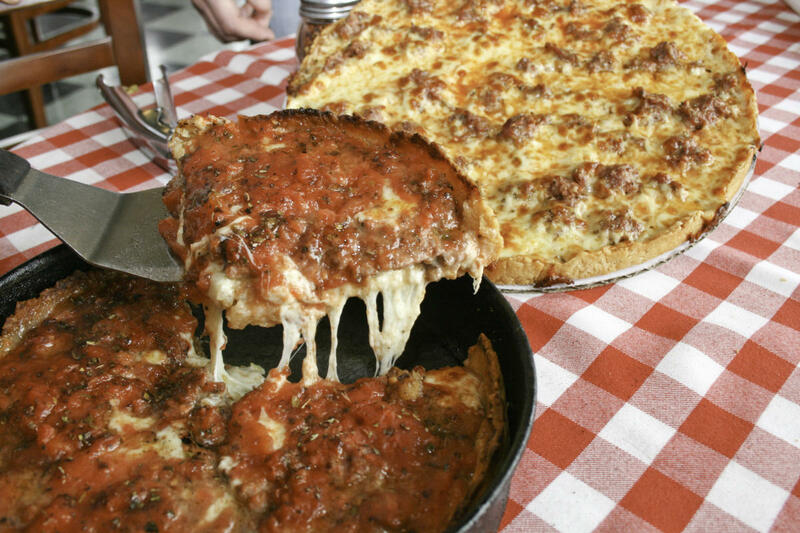 Food varies depending on which tour you’d like to join but here’s just a nibble of our offerings: Chicago Style Hot Dog, Pizano's famous Deep Dish Pizza, #1 Al's Italian Beef sandwich, the world famous Billy Goat Tavern (Cheezeborger, Cheezeborger, Cheezeborger!! ), Chicago’s oldest chocolate shop and the oldest restaurant in Chicago, The Berghoff. If you’d like to enjoy some famous tastes of Chicago, Tastebud Food Tours is your ticket! Make sure to book your tickets early as we sell out often! Tours operate year round, Monday through Sunday with the exception of important holidays. Tours range from 2-3 hours and varies between $25 - $69 depending on the tour. Enough food is served on each tour to be considered a nice meal. Make sure to come hungry!